Last weekend, I played around with fusing fabrics. 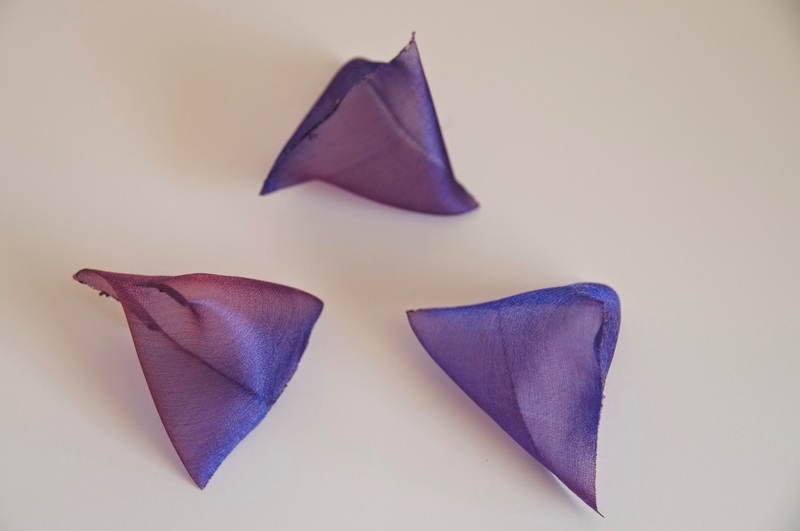 I wasn't very pleased with my results, except for these floaty pyramids, made from shot organza. They are like little clouds and look as if they could float away at any moment. They are gorgeous. Have you anything in mind for them?